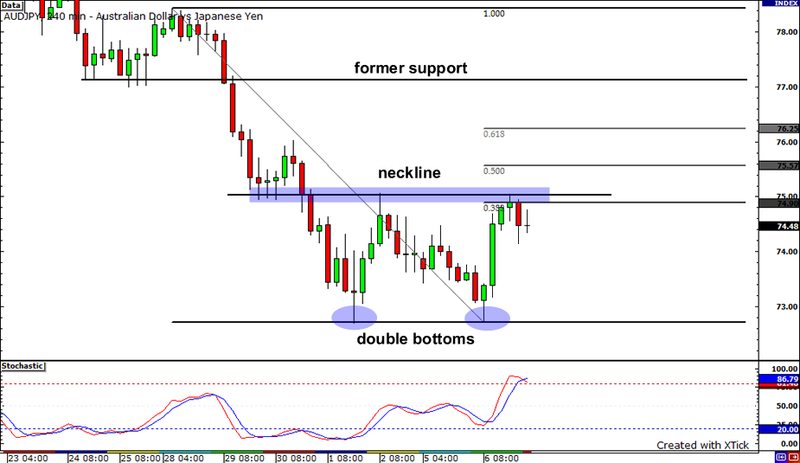 Check out those double bottoms on AUDJPY’s 4-hour chart! Since this formation usually signals a reversal from the downtrend, I’m staying on my toes for a possible rally from this pair. But before it’ll be able to do so, it would have to break through the neckline. This happens to coincide with the support turned resistance level near the 38.2% Fibonacci retracement level. If it busts through that area, it could climb all the way up to the former support level just above the psychological 77.00 handle. 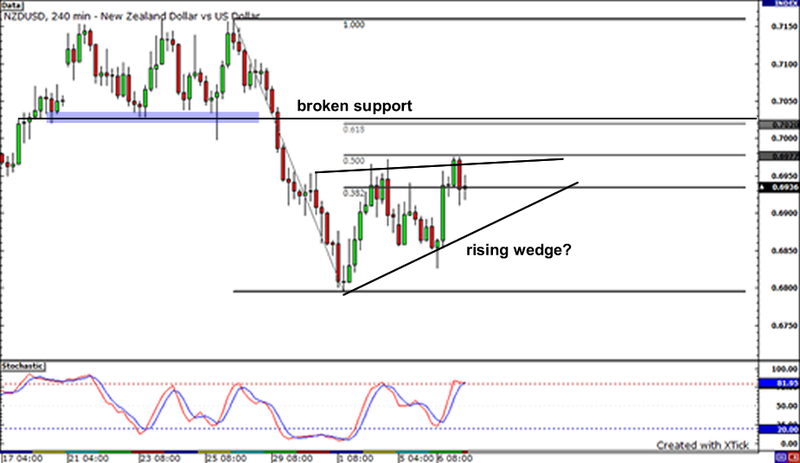 Hmm, is that a rising wedge I’m seeing on NZDUSD’s 4-hour chart? Since it’s forming after a strong down move, it could serve as a continuation signal. If the pair’s downtrend resumes, it could fall beyond the previous low at .6800. But if the pair keeps moving higher, it could encounter resistance at the broken support level around .7025. That’s just a few pips away from the 61.8% retracement level, which could serve as a barrier for the pair’s rally. Lastly, let’s take a page out of Cyclopip’s playbook and take a look at the EURCAD. 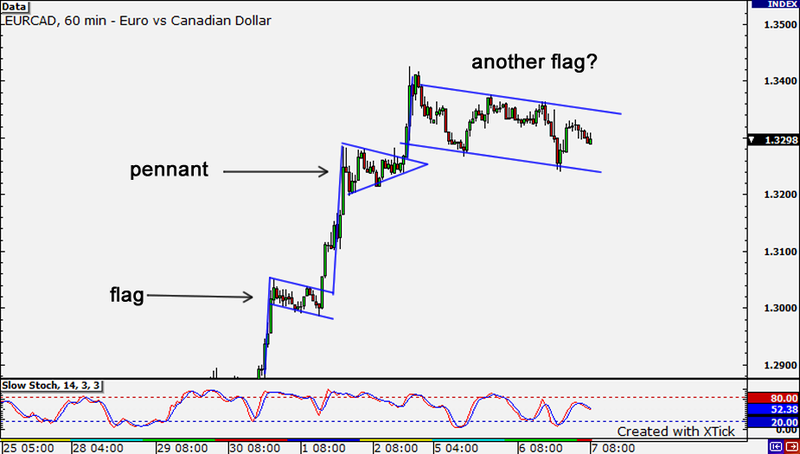 It seems to me that another bullish flag is forming on the pair. In the past, the pair had formed both a flag and a pennant. Is it time for another bullish run? If we see a strong candle close above the falling resistance line, we could see price make a run for new highs at 1.3500. On the other hand, if we see a break lower, we could see some minor support around 1.3200, which was an area of interest in the past.